Full dentures: Even with no teeth, full dentures that are poorly maintained allow mainly fungus to overgrow, inflaming the palate and the gums on the lower jaw. Calculus (tartar) will even adhere to dentures! Even the corner of the lips may also be irritated with an overgrowth of fungus. The advantage of these appliances is that they can be removed AND should be removed overnight to allow the mouth to self-clean! Partial dentures: The problem with partial removable appliances is that they also rest on teeth. 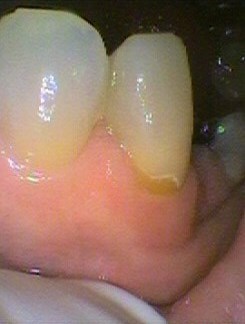 If they are not cleaned AND left out at night then decay and gum disease will occur. There is no point spending money on an appliances if the foundation it’s sitting on starts to “disappear” and of course smell. 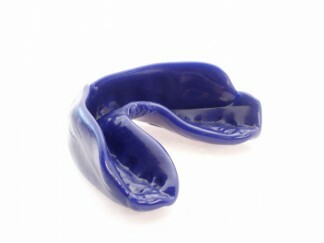 Mouthguards: A mouthguard needs to be properly fitted to prevent broken teeth and jaws. This means a custom fitted one by a dentist. They can be designed to allow for the eruption of new teeth or work around orthodontic braces. They also need to cleaned, to prevent odour and put back on its model to maintain the shape. Now some people might think a bit of a “smell” may keep the opposition at bay! Occlusal splints and sleep apnoea appliances: Splint and sleep apnoea appliances, are mainly worn at night, so it is important to clean and maintain them well. Orthodontics – Removable appliances: Although mainly young children have these appliances, more adults are now wearing them. This means maintenance is paramount; otherwise decay and gum problems will mar that new smile and bite. Orthodontics – Fixed appliances: It now appears that braces are found in people of all ages. It sounds like a bold statement but in some situations after the braces are removed, permanent fixed retainers are now bonded on for life. 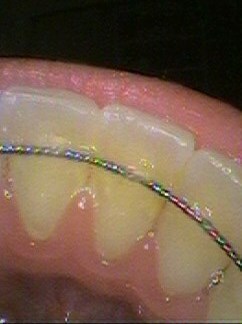 These are usually special wires that are bonded on the back of front teeth to stop them moving.